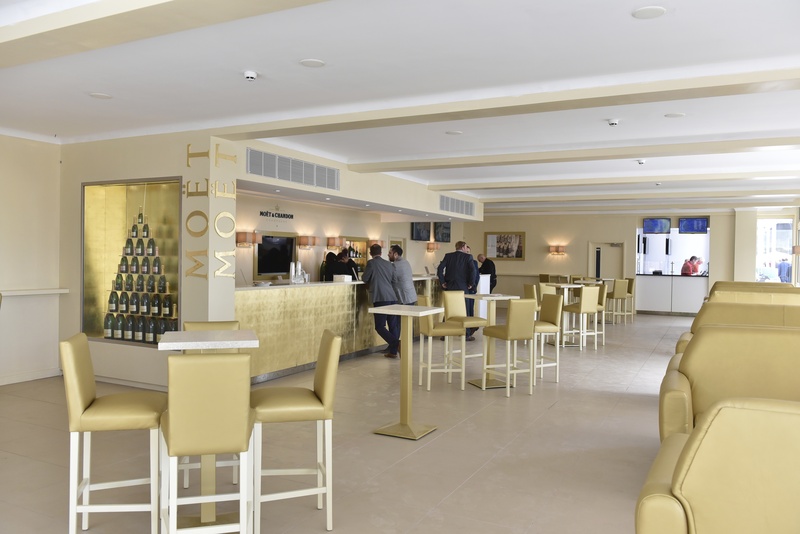 Ahead of the final meeting of the year this weekend, York Racecourse is proud that its new Moët Pavilion has won the accolade of “Best Bar in UK racing” at a national awards ceremony. Prizes in the Merbury National Racecourse Catering Awards were presented in a lunchtime ceremony at Windsor Races. Judges praised the team at the Knavesmire for both the high quality of the experience and the great value of the premium champagnes on offer in the popular bar, which only opened at the start of the 2015 season. The Moët Pavilion was created in partnership with the leading champagne house that carries its name, using French designers to add a touch of Gallic chic to the final layout. Part of the redeveloped northern end of the racecourse, the stylish gold sofas have become as popular with racegoers as the chilled servings of the brand itself.